Discover The Power of Mindset: The Mindset Necessary for Success in this powerful 40-minute talk by Dr. John Schinnerer. Your mind is far more powerful than you ever believed. In areas as diverse as exercise, stress, pain, aging, anxiety, intelligence and success, science is discovering ridiculously simple ways to break through to new levels of performance. But, you have to know how! A mindset is a choice to adopt a set of beliefs that you know to be beneficial. It is a lens through which you view the world, a way to simplify the millions of interpretations of the world around you. 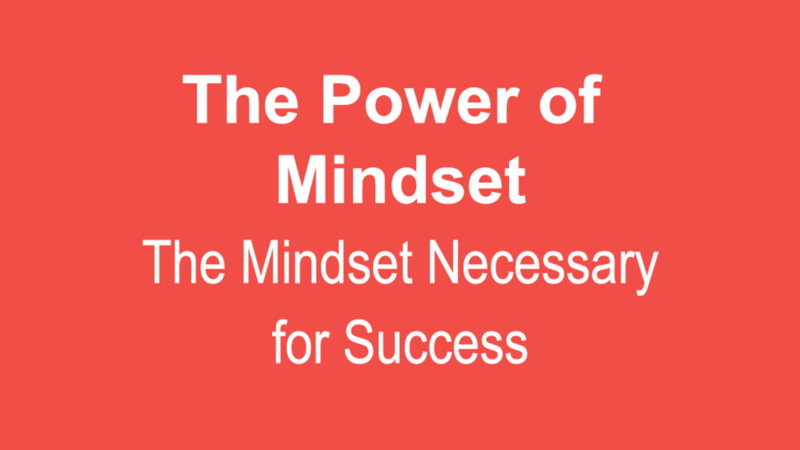 Find out about the mindset which underlies all other mindsets and is central to great success. Discover the mindset which increased the IQ of students by 30 points. The importance of mindset cannot be overstated. Mindsets are powerful enough to change your life in a moment. Learn how in this compelling talk by Dr. John. This talk is a downloadable MP3. Order now and begin your adventure towards a more fulfilling and successful life today!